Before you go… do your research! When I was checking out universities as a college senior, one of the main criterion that I was looking for were excellent study abroad opportunities. I had done a fair amount of travel as a child and teenager, and I knew that I wanted to branch out and explore more of the world through hands-on, cultural immersion experiences. However, when it came time to decide where to go abroad, I was suddenly overwhelmed with the options available for me. At DU, there are over 150 partner programs to choose from in 58 countries, and an endless number of unaffiliated programs! I was suddenly facing the paradox of choice – loving the many opportunities available for me, yet also completely overwhelmed by the options. I jumped around quite a bit – looked at Ghana, Uganda, Rwanda, Northern Ireland, Botswana, and South Africa. I have a feeling that the study abroad coordinators were getting a little weary of seeing my name on their calendars! I attended numerous advising sessions, both group and individual, but it was the time that I spent by myself, pouring over program websites, university course listings, and international news sources that ultimately helped me choose my program in Pietermaritzburg, South Africa, at the University of KwaZulu-Natal. It ended up being the perfect program for me. Studying abroad is a big choice, and just because your friend has found a great program for them, that doesn’t mean it’s the right program for you. So often people will determine where to go abroad based on the experience of a friend, family member, or close acquaintance, and though it may end up being a great fit, don’t be afraid to research for yourself! Take the time to read over program fliers, websites and course descriptions. The Office of International Education also has a great list of recent returnees that can talk with you about their experience, and though it is their experience, they can give you a little taste of the student life and culture for the area that you ultimately choose. Also, read international news sources – there’s nothing worse than showing up in a country and realizing that you don’t know anything about their current events! Americans also don’t have the greatest reputation around the world in regards to their understanding of foreign policy and world events; read up on the area that you choose to go to so that you can have intelligent conversation with locals about their country. I purposely rented a bunch of movies on South Africa (Cry Freedom, Serafina, Tsotsi) and read Nelson Mandela’s biography in order to have a better understanding of the history of the country that I was soon going to call “home” for five months. My research paid off – not only did I have an incredible experience, but when I had hard days during my time abroad I remained confident in my choice to be there because I knew that I had put in the proper time and effort to determine the right type of program for me. I had the opportunity to live with local students, intern at a children’s home, join the university’s “mountain club,” hike all over the Midlands and Drakensburg Mountains, explore other parts of South Africa and Lesotho, and make tons of friends through a local church. 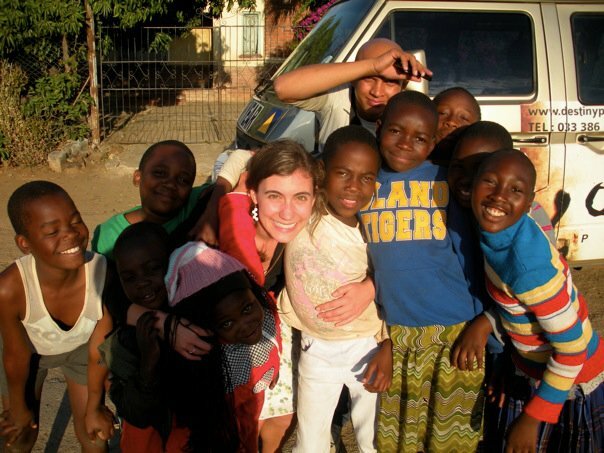 My study abroad experience was so incredible that it didn’t really end – I ended up going back to Pietermaritzburg the following summer to go on a mission trip to Zimbabwe with my South African church, which also gave me the opportunity to visit my friends both in South Africa and Zimbabwe. When I hopped on a plane to Pietermaritzburg for the first time, I never imagined that my life could have been impacted and changed so drastically, and in such positive ways. I honestly could not have asked for a better study abroad experience – for me. Take the time to research and find the best type of program for you! Next Family Pressures? 10 ways to get your family excited about Study Abroad!